Dentsu Aegis Network’s data consulting and CRM agency, AAA, has joined Isobar Taiwan to strengthen the global digital agency’s marketing offerings. 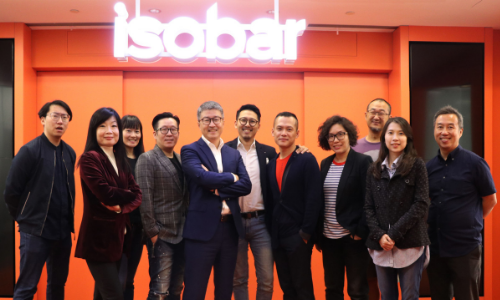 The partnership will see the strengthening of Isobar’s capabilities with data and insights, which also inspire creativity and business solutions in Taiwan. The delivery is enabled by Isobar’s multi-disciplinary approach, connecting creative, media, technology, omnichannel commerce, and transformation consulting. Under the new integration, AAA’s general manager, Scott Hsia, will become general manager of the data and CRM department of Isobar Taiwan. “Delivering dynamic marketing and creative strategies based on consumer data will become a powerful differentiator for brands. Through the integration of AAA with the Isobar team, we can deliver data-led creative ideas seamlessly, and create innovative advanced consulting solutions,” commented Hsia. “AAA’s proven CRM and data-led business consulting expertise will combine with Isobar’s offering to provide omni-channel solutions and deliver transformative customer experiences that are idea-led and commerce-enabled,” he added. Is advertising an inevitable reality for WhatsApp post Facebook's acquisition? .. The hub will be an opportunity for business partners, technology developers, academia and industry players to experience the agile..